Sounds like a win for the common person. However, I bet that there will be merchants that still try to subvert this by auto-checking a check-box that specifically authorizes them to continue to charge after the trial period is over. And I would not be surprised if that checkbox is somewhere not so noticeable. mbrowne5061, MaXtor, ShagnWagn and 1 other person like this. Ah, this is great news for the forgetful people. Although I'm not forgetful, this is a nice feature to have. Underdog, MaXtor and wiyosaya like this. 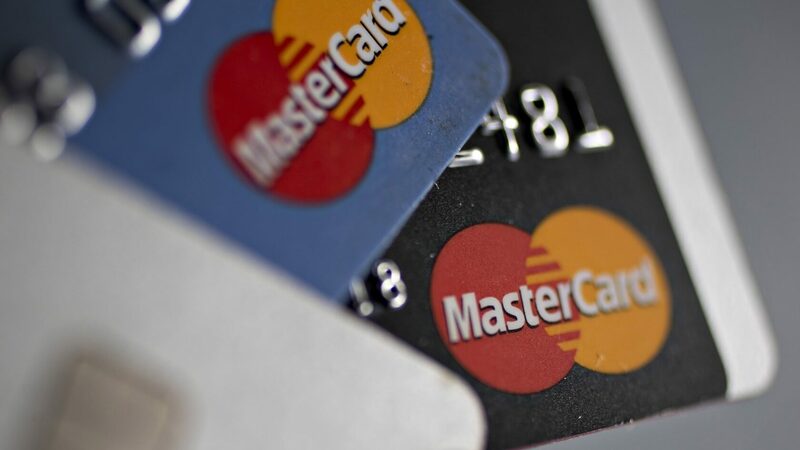 This is a positive for consumers and great PR by Mastercard. Well played. Underdog, MaXtor, wiyosaya and 1 other person like this. Wooo! THANK YOU MC! I can still see it being abused, but some kind of reminder would be swell. I did a nutflix trial and didn't get any kind of notification when they charged me. No monthly bill or statement, no reminder - nothing. I had to waste my time to contact them and cancel it manually. Side note - netflix... only 2-channel audio? in 2019? Really?? Side note - netflix... only 2-channel audio? in 2019? Really?? If you are on Windows and use the Netflix app, you have a choice of Dolby Digital+. Although this is definitely nice for the consumer - and I hope other cards follow suit - but I don't think MasterCard is doing this out of the kindness of their heart. Think of the manpower and time wasted (meaning $$ spent) for when they have to deal with customers contesting charges that show up after free trials. Literally probably runs them in the millions of dollars per year. This policy now nips that in the bud. jobeard and m4a4 like this. It never was a freee trial if it comes with auto bill. but I see mastercards use case is customer calls hey I got charged. they they have too look up number of biller to pass on to customer. this take time cost money. Last year, I had to call my CC company 3 times to get a certain company banned from charging my MC for stuff I never ordered or subscribed to. The 1st time, the bank cancelled my card & sent me a new one. 1 month went by and somehow the offending company starting charging me on the new card. When I called the CC company & asked how they got my new CC number, they had no answer, but they again cancelled the new card and sent me another new one. The charges stopped for 1 month, then last week, I saw them STILL attemting to charge me again, the only difference now being that MC automatically denied the charges. I had someone steal my credit card last June and then use it for a membership to LA Fitness - including paying for several back months that they owed. I called my bank, and I called LA Fitness. LA Fitness told me that they would refund my money and that they would get my card out of their system. LA Fitness also told me that the individual that had used my card had "used several different credit card numbers". Gee, I wonder where he got them from? I also told my bank about it, and they said that they would prevent LA Fitness from using my card. The bank sent me a new card and a new number, so I thought that I was through with this. And while on the phone, my bank asked me, essentially, maybe someone used the card that you had given permission to use the card to which I said NO, and grilled me about whether I had ever had an LA Fitness membership. Like I would be calling them if I gave permission to for someone to use my card, or if I had legitimately signed up as an LA Fitness member. Then, the next month, there is the charge again for LA Fitness, this time, it is for the charges they had refunded and for the next month, too. I called the bank yet again and this time I got someone on the phone who actually knew how to permanently deny LA Fitness any use of my card, yet they still had to send me a new card again. I called LA Fitness again, and they also refunded the charges again. Finally, the next month comes along, and LA Fitness yet again tried to charge my card. So I called my bank again and they assured me that the charges were denied. A few days later, the pending charges dropped off my card. Now, LA Fitness could never charge this card - not that I care. I looked into them and they sound like a nightmare for members that quit. Your bank knows exactly why this merchant was able to charge your card as they did mine - this is because merchants are allowed to tell them that your payment is a subscription - without your permission - and they automatically get your new credit card number. It is a "feature" that MasterCard and Visa both offer. F'ers. So it does not surprise me that whatever company you were dealing with for the trial flagged your account as a subscription. IMO, it is extremely unfortunate that this does not, as the update to the article says above, apply to every and any subscription. All of this will certainly make me extremely cautious about signing up for any subscription in the future. Lew Zealand and Stark like this. I cancelled a card and then got a bill from them 3-4 years later for a unreturned blockbuster movie (BB was nearing the end of its life at this point). I called the company and asked them how the heck someone was able to charge a card id cancelled years ago!? The CC company more or less told me "bummer. If the merchant is big enough they can do whatever they want". So apparently even if you do cancel a CC it never actually goes away. If a big enough merchant thinks he has a legit reason to charge your card then it comes back as a zombie credit card and you get a bill in the mail. Free trials should be just that- free. I don't appreciate having to hand over my info, risking getting my identity stolen, just to have a try at yet another software-- it's ridiculous! How do you prevent a Hard Drive from dying?